After delivering Oak's Parcel back to Professor Oak and then defeating your Rival in your first battle against him, you will be free to pick up where you journey left off. If you head back to Viridian City, the path heading north will no longer be blocked by Jessie and James. 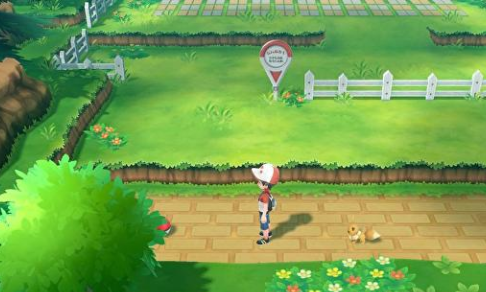 This path leads you to Route 2 and then Viridian Forest; however, there is another path to the west of Viridian City that leads you to Route 22. Later on in the game, after defeating all eight Pokemon Gyms, you will have to head through Route 22 on your way to ultimately reaching the Pokemon League. But for now, Wild Pokemon can found here, as well as an unsuspecting battle.